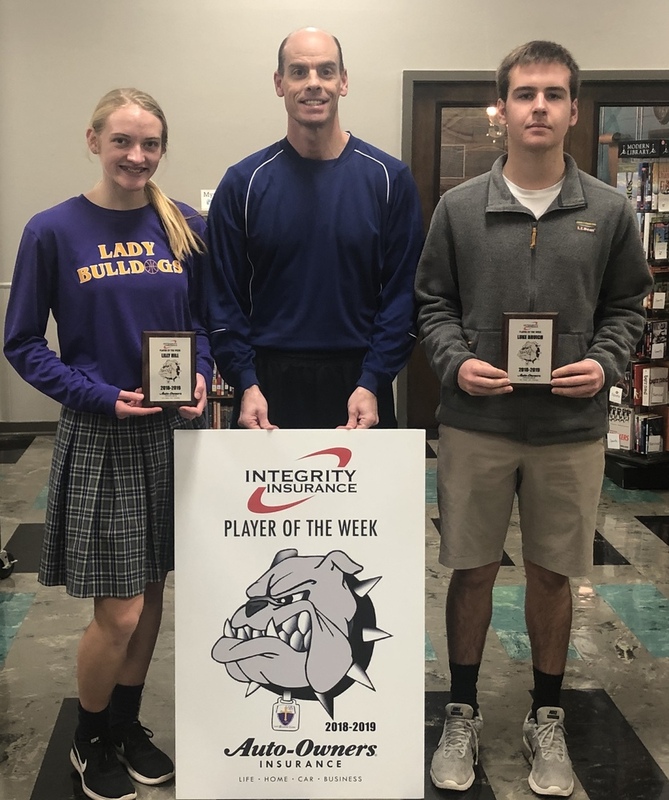 Sophomore basketball players Lilly Hill and Luke Bruich were named Integrity Insurance "Players of the Week" last week. Lilly also runs cross country and is a member of the soccer team. Luke helped the golf team win a State Championship this Fall.